Protects the engine and injection system against contaminants and other fuel residues. It prevents fuel impurities from reaching engines running on gasoline, whereas on diesel engines its main function is to remove moisture and prevent corrosion from metal engine component wear. 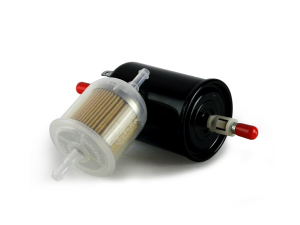 These filters ensure the proper operation of the fuel injection system, allowing the correct and sufficient passage of fuel and correct lubrication of the injection system, normalizing the engine operating temperature.